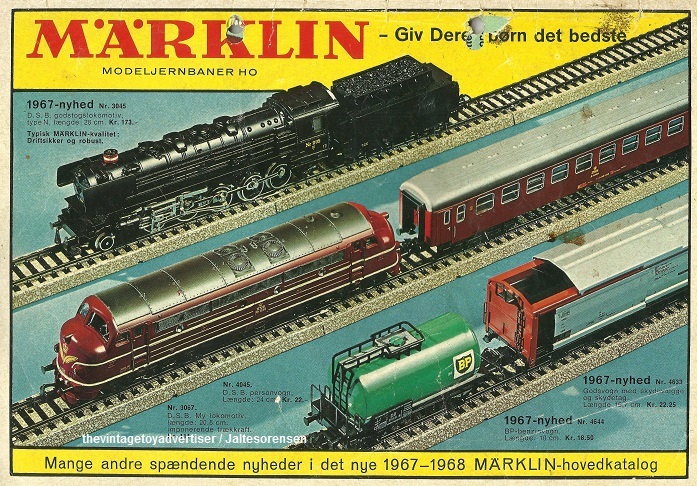 In the 150 years of its existence as a company, Märklin has developed from a small factory for tin toys to a producer of high quality metal toys. 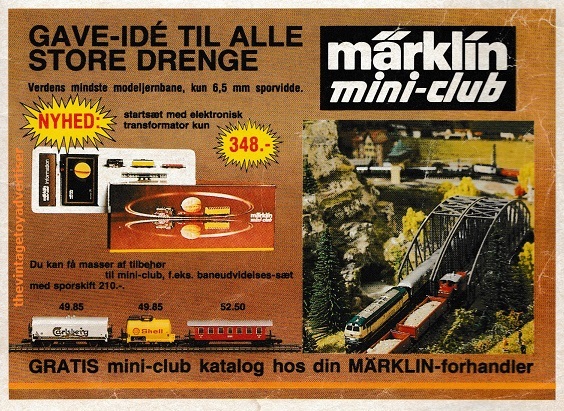 Today, Märklin is one of the leading brands in the model railroad market, offering the possibility of adding to and expanding existing layouts and collections from previous sets. 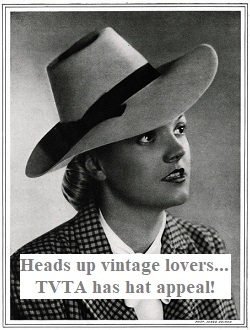 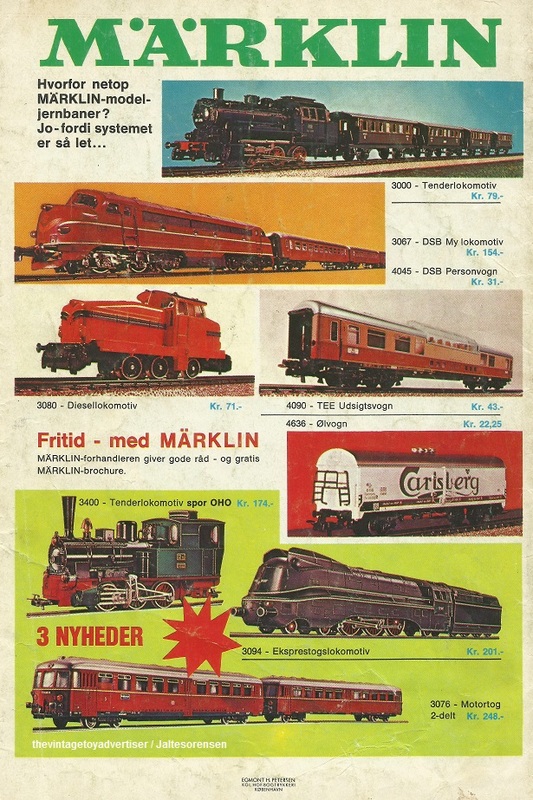 The company was founded in 1859 in Germany. 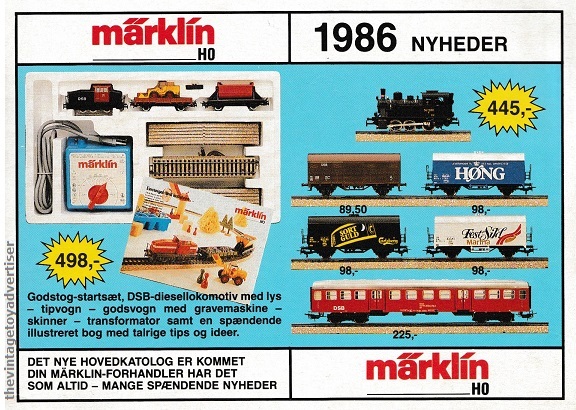 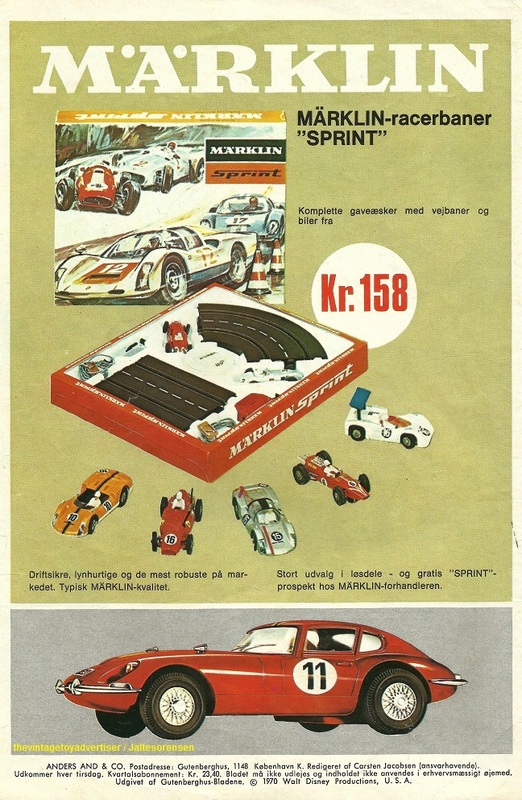 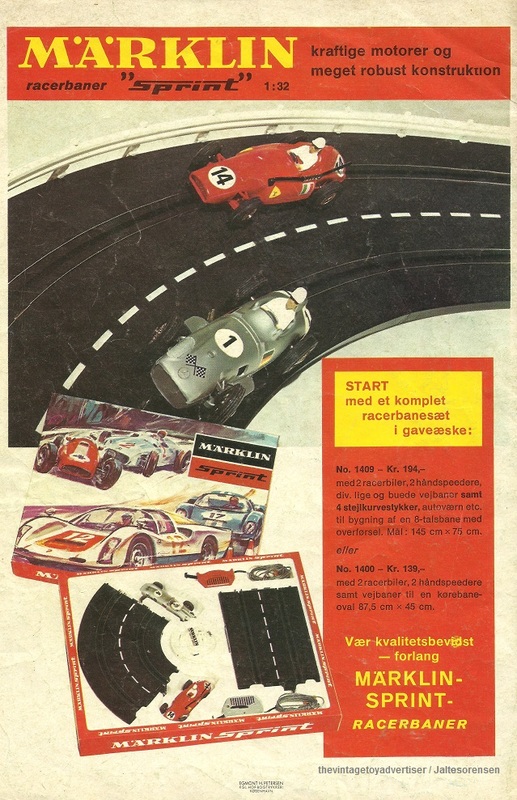 As well as specialising in model railways sets, Märklin has produced doll house accessories, tin plate toys, construction sets and slot car racing sets. 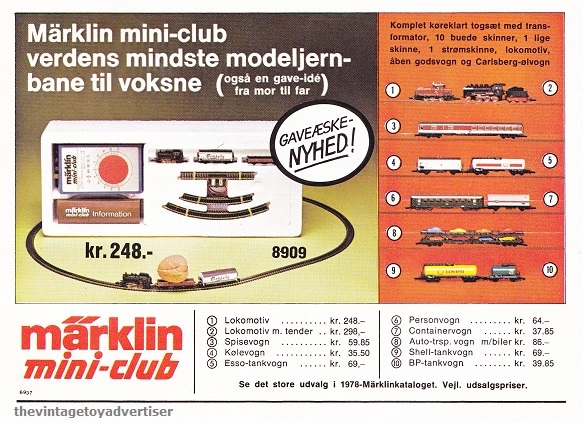 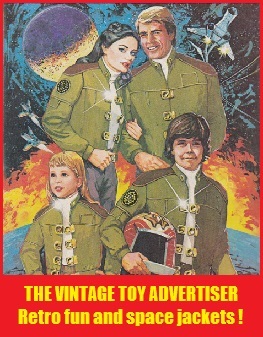 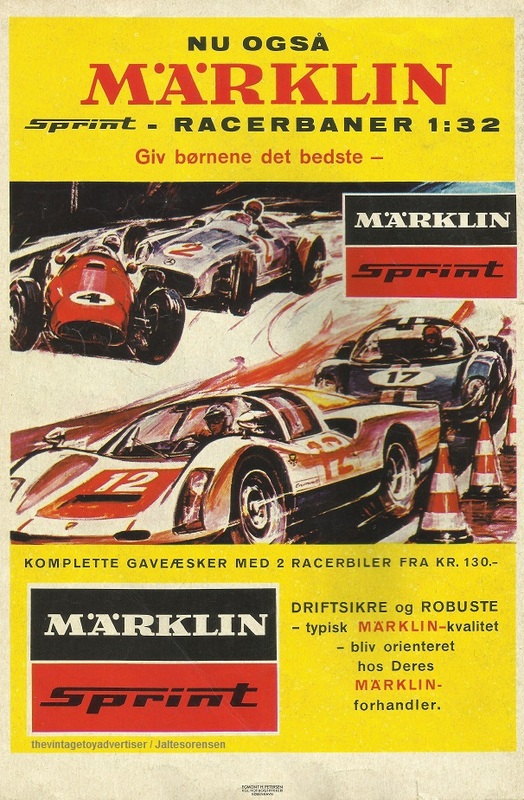 This entry was posted in MÄRKLIN and tagged 1980s train sets, Maerklin train sets, Märklin Trains, model trains 1960s, model trains 1970s, retro, vintage advertisements, vintage toys, vintage train sets on May 12, 2017 by The Vintage Toy Advertiser.